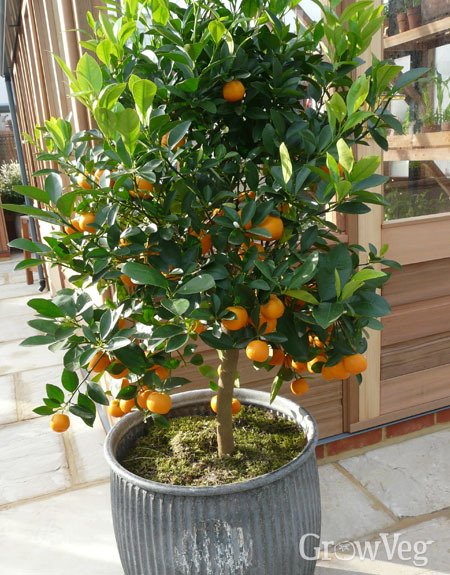 Grow citrus in pots and you open up the possibility of enjoying most types of these sun-loving fruits. Cosset them in the warmth of a frost-free greenhouse, within a bright sunroom, or on the sunniest windowsill in the home. Then move them outside for summer to make the most of long days and fresh air. A little thoughtful care brings every chance of something special to crown the fruit bowl. 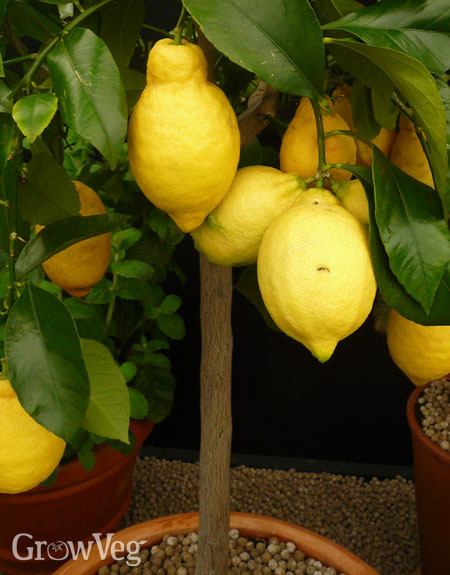 Meyer lemon: This compact tree yields medium-sized, flavorsome lemons that are both sweeter and less acidic than the lemons you’ll find in the supermarket. It’s reliably prolific too, making it a safer bet. Most citruses will tolerate a brief dip to a few degrees below freezing. What they won’t tolerate is cold feet, something that sodden, claggy soil at the roots is almost certain to bring about. Avoid this – please, at all costs – by mixing one part sand or grit to every four parts of a soil-based potting mix. Water plants sparingly. Use rainwater if you can, which will help to keep the root zone on the acid side of neutral, as preferred. 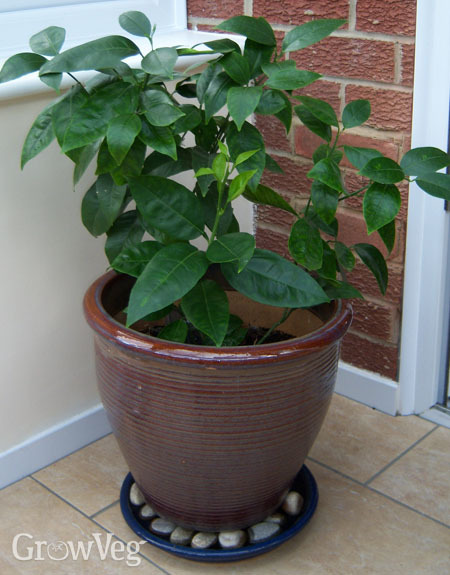 Feed plants with a purpose-sold citrus fertilizer whenever temperatures remain consistently above 10°C (50°F). It’s possible to overwinter citrus outside in temperate climates – with the major caveat that they must be properly sheltered from bone-chilling winds and given temporary protection from hard frosts, usually with garden fleece or row covers. Remove protection when it isn’t needed so that plants don’t go soft – you want them to harden up with winter’s progress then stay that way. The safer alternative is to move plants under cover when it turns cold. Frost-free greenhouses work well, or bring them inside into a conservatory, sunroom or onto a bright windowsill. Prioritize the brightest positions for your citrus to minimize leaf drop. Growth will slow considerably either way –from the cooler temperatures, poor light levels, or both. Plants won’t appreciate wild swings in temperature either, so ventilate greenhouses and sunrooms on sunny days when the mercury can quickly soar to spring-like heights. Then, when spring proper arrives, acclimatize plants to the outdoors over the course of two weeks, setting them out in their sunny summer quarters once the final frosts are done.